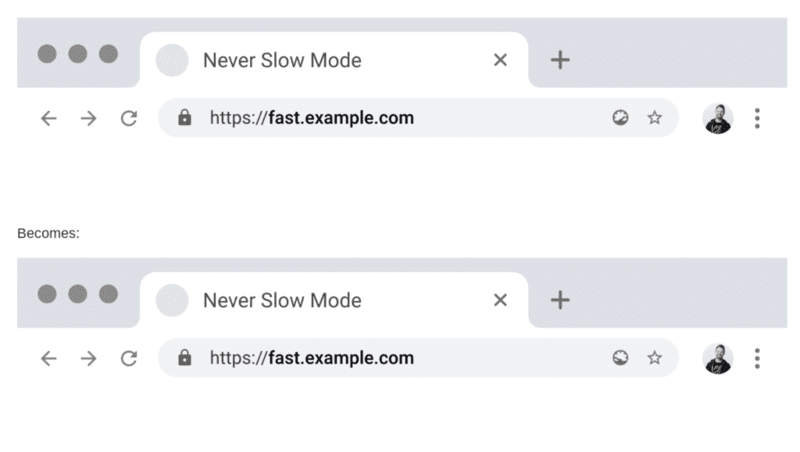 In a recent post, I shared the technical details about Chrome’s upcoming “Never Slow Mode”. It talked about how Chrome is planning to run a website in “Never Slow Mode” (NSM) by limiting the number of scripts and restricting some other resources. Today, I have some more details about Never Slow Mode. The most interesting thing is that Never Slow Mode is not just a Chrome feature, but possibly a web standard like AMP. I stumbled upon this Github page today (linked from a Chromium code commit) which talks about the whole NSM plan in detail. The document also talks about the need for standardizing the requirements to make “NSM” versions of websites. The goal of the project is to provide this standardizing so that developers know what to optimize and how. The project proposes visual cues for fast websites or NSM websites. Just like we have AMP pages, we might soon see NSM versions of websites. Today’s browsers tacitly condone terrible performance, however we’re starting from an even worse position; no browser today has a reliable signal against which to let users know that a site is fast (let alone slow). NSM provides such a signal in much the same way that the introduction of SSL/TLS in browsers created the opportunity to badge some sites as secure. In the short-run this will let browsers show users that certain sites are opting into delivering a good experience. In the long run, this enables the same default flip. At some date in the far distant future, perhaps only sites that don’t opt in will receive “slow site” warning UI. Let me end this by reminding you that this is a indeed a document written by an engineer working on the Chrome team, however, we cannot say if everything that is proposed here will become part of Chrome and maybe even other browsers. What I am really keen to know however is your thoughts and comments on this. Do you think this will become popular like AMP? If you are a developer, please share your thoughts on this new standard. Do you think this will help the web in general?